The greatest things … Queen Underwood, Olympian! For USA Boxing‘s Olympic Lightweight Trials Champion Queen Underwood, talent, determination and sheer courage have won the day in the Olympic Tripartite Commission’s decision to give her the last lightweight boxing berth available to the American continent in this year’s historical debut of women’s boxing at the 2012 summer Olympic Games in London. 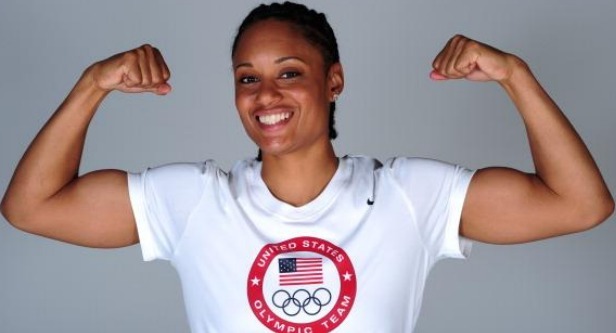 Queen will join her teammates and fellow Olympians, Marlen Esparza and Claressa Shields in representing the United States this year. Also getting the nod were Canada’s fabulous boxing talent Mary Spencer in the middleweight division and Brazil’s great flyweight champion, Erica Matos. 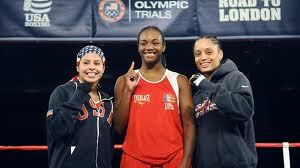 All three women were tremendously worthy of the honor not the least of which for their incredible skills as boxers. In Queen Underwood’s case there is also something extra. Her personal story is one of triumph over odds none of us should ever have to face or even consider. She is a survivor and a role model for punching through and finding a way to grapple with the demons that can haunt a person late into the night or otherwise push them into a spiral of self-abnegation and decline. Queen chose another way–and in that choice we are all the beneficiaries of an enormous talent not only in the ring, but in life itself. In the game of life as in the ring we often roll with whatever the shots are. Sometimes they are to the gut and sometimes not, what’s great to know is that life has the capacity to surprise and to reward greatness when it counts. I will be a one-armed bandit for a while as I am about to undergo the “knife” so to speak for arthroscopic shoulder surgery on June 20th. It’ll mean I’ll be out of the box for a while, but I will attempt to post, albeit, one-armed. That will likely be next week, but sooner if I can manage. While I can’t say I’m jumping for joy about all of this, I do look forward to walking into Gleason’s Gym to spend many a happy hour at work on the double-ended bag. My surgeon is Dr. Andrew Feldman who has otherwise had a lot of “practice” on New York Ranger’s hockey players (he’s their team physician) so I’ve got to figure he’ll be ready for the “show” when he works his surgical magic on my labrum and tendons tomorrow. I’ll see you from the other side. Thanks so much! 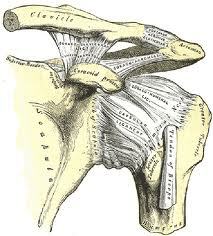 It went well, but thank goodness for Vicodin! Great report as always on the Olympic boxers! Good luck with the surgery, sounds complex but like you’re in good hands! Thanks Niamh. The news about Queen and Mary was brilliant. As for surgery, it went well if a little more complex than originally assumed, but as you say I was in good hands and so far so good. This will be an exciting summer olympics. I hope you’re healing well! You Are a True Champion Queen ! Your The Best ! Sending Prayers For A Speedy Recovery and God Bless You and Your Sister . I think we all feel that way. Queen is a true champion! Don’t worry if you assumed otherwise and made the mistake of opening one of these cards because there is indeed a bright side: Your credit standing gives you many, many great alternatives. Some may provide a set percentage for things like gas and food. Most of these charge a yearly fee that is either charged because of the low credit score of the applicant or because the card offers a number of extra benefits that are worth the annual fee.